Sheet metal working professionals from all over the world will meet again in Hanover, Germany, from 25 – 29 October 2016 at the largest trade exhibition for this industry sector. 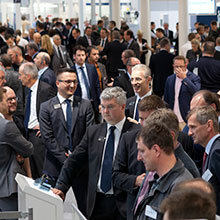 EuroBLECH offers its audience a comprehensive overview of the prevailing trends in sheet metal working: Some 1,600 exhibitors from 40 countries will put an impressive range of machines, tools and systems live on display, across eight exhibition halls. 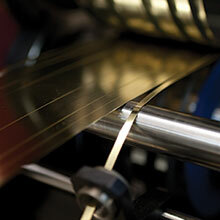 EuroBLECH shows the entire sheet metal working technology chain: sheet metal, semi-finished and finished products, handling, separation, forming, flexible sheet metal working, joining, additive manufacturing, welding and surface treatment, processing of hybrid structures, tools, quality control, CAD/CAM/CIM systems and R&D. Entrance tickets for EuroBLECH 2016 are now available via the Online Ticket Shop. Tickets can also be purchased on-site during the exhibition. A day ticket in pre-sale via the Ticket Shop costs €30 instead of €38 on-site and a season ticket online €50 instead of €58 on-site. Discover the new EuroBLECH 2016 Online Show Preview! The official EuroBLECH Show Preview with information on many exhibitors and their products is now available online. The Online Show Preview provides detailed description about the machines, systems and services, which will be displayed in Hanover this year. EuroBLECH 2016 takes place in halls 11, 12, 13, 14, 15, 16, 17 and 27 of the Exhibition Grounds in Hanover, Germany. The exhibition is open from Tuesday, 25 October to Friday, 28 October 2016, from 9.00 – 18.00, and on Saturday, 29 October 2016, from 9.00 – 15.00. Important and useful information about travel & accommodation, visas and travel packages as well as special offers from Deutsche Bahn AG, the German Railway Company, and Lufthansa is available in the travel section of the exhibition website.